The Riviera Nayarit is a relatively new tourist destination situated on an attractive coastal corridor in western Mexico, featuring picturesque towns, beautiful beaches and magnificent recreational and relaxation centers for all budgets. It stretches from the state border that joins Nayarit and Jalisco, in Nuevo Vallarta, to the port of San Blas in the north. It offers an endless array of adventures, sun, and beach activities, as well as places for people to rest and unwind. Those who prefer to travel in luxury can enjoy their stay in any of the resorts established by the major hotel chains in the Riviera Nayarit. These resorts are extraordinary complexes offering comfort and the highest level of service, complemented by brand new spas and challenging golf courses designed by the most well-known designers in the world. 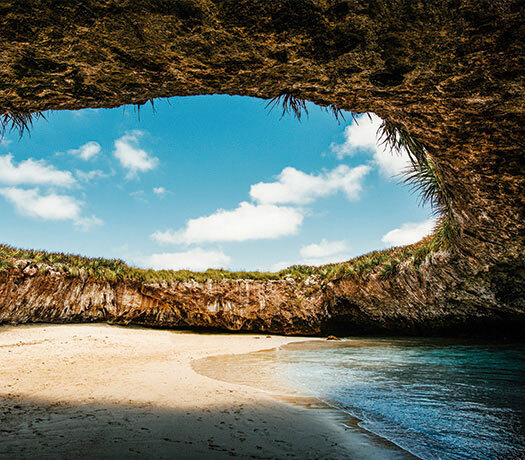 The Riviera Nayarit has an exceptional location with incredible natural attractions and beautiful towns throughout this strip of Mexico’s Pacific coastline. 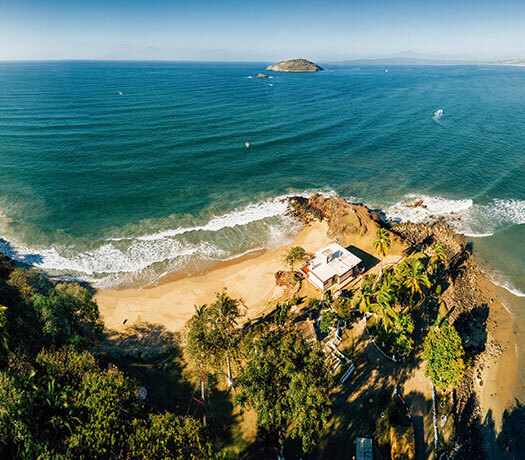 Places like Punta Mita, Bucerias, Nuevo Vallarta and San Blas all offer an impressive array of things to do, such as watching migrating whales, extreme ecotourism, recreational and cultural tours, relaxing in comfortable hotels, or the unforgettable experience of swimming with dolphins. In terms of entertainment, there is almost no limit to the options available in the Riviera Nayarit. 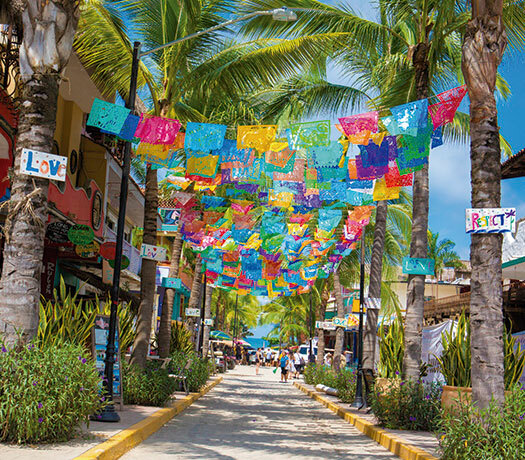 Throughout the Riviera Nayarit there is a variety of towns and cities offering a diverse array of leisure activities for all tastes, along with exclusive resorts featuring elegant restaurants, spas, golf courses and world-famous marinas in a truly paradise-like environment. The aforementioned facilities allow people to organize cutting-edge events, conventions and incentives trips that will provide unique experiences, surpassing your expectations. In the corridor that makes up the Riviera Nayarit you will find 115 miles of calm, almost virgin beaches framed by beautiful mountains offering spectacular landscapes and views. Punta Mita and Bucerias stand out for their luxury and opulence, while Litibu, Sayulita and La Cruz de Huanacaxtle showcase the soul of traditional Mexican towns. Puerto Vallarta International Airport deals with the air traffic of the Riviera Nayarit. It operates frequent flights from cities in Mexico, the United States, Canada and Europe, transporting more than 4 million passengers a year. One of the main reasons to choose the Riviera Nayarit to carry out your next business meeting, incentive trip or event, is the famous Mexican hospitality, the genuine service offered by its people. Thanks to this, we have been able to consolidate a strong base of repeat visitors, who leave satisfied and eager to return to our destination again and again.